Many parents wonder what a ‘typical’ schedule looks like for their child. 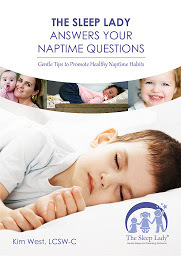 The truth is that every baby is different, but there are some baby nap basics that work for most children six months and older. If you have a younger child, I would encourage you to follow their natural sleepy-time cues for naps and nighttime sleep, and I will write about newborn sleep in a different article. In order to encourage a healthy nap and nighttime schedule, six months is the perfect time to start employing my ‘drowsy but awake’ practice, and put your baby to sleep in their crib awake and aware they are being put down. Doing so will begin to teach your baby to put herself to sleep without the need of a sleep crutch such as a bottle, nursing, or rocking. A Note From The Sleep Lady: Putting your baby to sleep without a sleep crutch is usually easier to begin to employ at bedtimes than naptimes. So if your baby is still relying on a sleep crutch for naps, that’s okay for now. Focus on bedtime first, and once you’ve got that mastered, work on removing the sleep crutch from naptimes. Between six and eight months, your baby should be taking a minimum of two 1.5 to 2 hour naps or a total of 3-3.5 hours of naps. If your baby is not getting the optimal 1.5 hours per nap, you may want to offer a late afternoon nap just before dinner. The optional third nap should be no longer than an hour to ensure that your baby is ready to sleep again at bedtime. During nap coaching, it is ok to use motion sleep for this third optional nap. This “bonus” nap usually goes away by 9 months if your baby is napping well. You may have already noticed that your baby begins to give you sleepy cues around 6:30 or 7:00 p.m. and wakes for the day between 6:00 or 7:00 a.m. Often, babies are ready for a nap as soon as 1.5 to 2 hours after the initial wake up, and again in the early afternoon, usually between 2-3 hours from waking from a reasonable morning nap. If your baby hasn’t reached this stage yet, don’t worry. 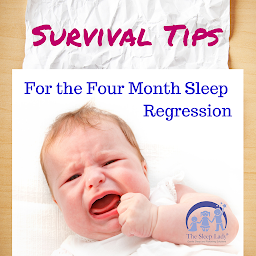 Start keeping a log in case there is a pattern you are missing and focus on making sure your baby is getting enough daytime sleep for their age. Sometime between nine and twelve months, your baby will most likely give up their third optional afternoon nap if they were taking one, and transition to just two naps each day. They’ll take a shorter, mid morning nap, and a longer, afternoon nap. Be sure that your baby is only napping for about 1.5 hours in the morning. For your twelve month old, the morning nap should be no longer than an hour. Timing at this age is very important. You want to start the afternoon nap approximately three hours after the end of your morning nap. That means asleep within three hours. This is important because if your baby sleeps too long, then she may have trouble falling asleep for the afternoon nap. For example, your nine month old may wake at 7:00 a.m., take her first nap from 9:00 a.m. to 10:30 a.m., and an afternoon nap beginning at 1:30 p.m., waking between 3:00 and 3:30 p.m. Your twelve month old may wake at 7:00 a.m., take his first nap from 9:00 to 10:00 a.m., and begin the afternoon nap at 1:00 p.m., waking between 3:00 and 3:30 p.m.
A Note from The Sleep Lady: I should mention that this age can be tricky, as your baby is more alert, and also more aware of the world around him, and may not want to stop playing or people watching. This is a great time to encourage quite time before naps. I suggest that you do an abbreviated bedtime routine, and implement the Shuffle for the entire first hour of a nap if necessary to help get your baby to sleep (for babies who only take an hour morning nap, that means that you would do the Shuffle for the entire nap if you are sleep coaching). As you can see, naps, like your quickly growing baby, are constantly evolving. Be prepared for another naptime change between thirteen and eighteen months, as your baby will likely shift to only needing one nap a day. This nap is typically a two hour-long mid-afternoon nap (perhaps from 1:00 p.m. to 3:00 p.m.). Hopefully your baby has mastered putting herself to sleep by this last nap change, if not, it’s not too late! And the good news? Most toddlers continue this single nap until they are three or four years old, at which time they can transition to quiet time. 1. Look for Nap Readiness. Watch for your baby’s daytime sleep cues. You don’t want to wait until she’s past the point of tired to encourage a nap. 2. Create a Good Nap Environment. You want your baby to have some wind down time before her nap to help get her ready to transition into sleep. Try to encourage quiet activities such as reading a book, quiet music, or even nursing or bottle-feeding. Just be careful that your baby doesn’t fall asleep while they are eating! 3. A Dark, Quiet Room. If your baby’s room is bright and sunlit, your baby is not going to sleep. Consider room darkening shades, and even a white noise machine to block outside noise to help create a sleep-inducing environment. 4. Naptime is an Abbreviated Bedtime. Just like at bedtime, naptime is a time for your baby to sleep. Encourage sleep by putting your baby down drowsy but awake. Remember that during nap coaching you may need to help encourage your baby to sleep, which means you may be checking on her for a full hour. Review The Sleep Lady Shuffle, and know that she will learn to put herself to sleep in a couple weeks. To read all of the ins and outs of nap coaching, please to check out my book, Good Night, Sleep Tight. Happy Napping!